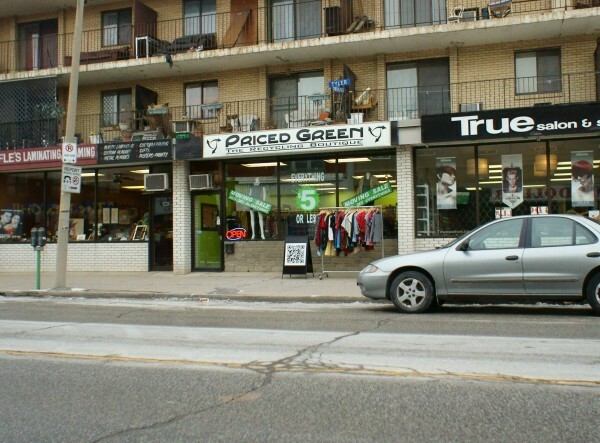 Priced Green, a business that operates two clothing recycling boutiques in Windsor is planning on moving their west-end store next month. From now until February 1st, the University of Windsor-area store at 2148 Wyandotte Street West is offering 20% off everything in store. Priced Green buys your used clothes for $1 a pound, or $2/pound in in-store credit. Priced Green’s hours of operation are Tuesday – Friday from 10am – 6pm and Saturdays from 11am – 4pm. The west-end Priced Green location is moving to 448 Tecumseh Road East (near Howard) next month.